Graduated in Nutritional Sciences at the University of Porto in 1994 and did a Master in Public Health at the Faculty of Medicine from the University of Porto and Institute of Biomedical Sciences Abel Salazar in 2000. She got her PhD in 2012 at the University of Porto with a thesis on “Eating habits and weight status in old age: a study of european elderly”. 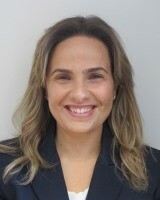 She is a professor in the University of Porto Faculty of Nutrition and Food Sciences. She recently participated in the Eeagrants projects (2015-2017), Nutrition UP 65 and Pronutrisenior projects. She also integrated the national study Food and Lifestyles of the Portuguese Population study funded by the Nestlé Company (2009-2014). She participated in pan-European studies: Consumer Attitudes to Food Nutrition and Health (1997), Consumer Attitudes to Health, Weight and Physical Activity (1999), HealthSense - Healthy Aging: how changes in sensory, physiology, sensory psychology and socio-cognitive factors influence food choice (2000), Senior Food Quality: choosing foods, eating meals: sustaining independence and quality of life in older people (2005). She participated in the organizing of major scientific meetings in the field of public health nutrition: the II World Congress on Public Health Nutrition - I Latinamerican Congress of Community Nutrition (Porto, 2010) and the 8th International Conference on Culinary Arts and Science - ICCAS 2013 (Porto, 2013). She was a member of the Ethics Committee of the University of Porto between 2012 and 2014 and is currently a member of the Educational Board of the Faculty of Nutrition and Food Sciences, University of Porto.